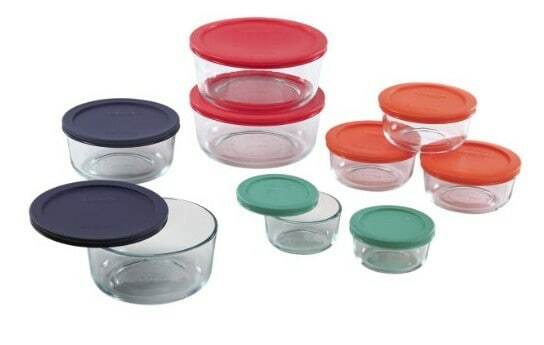 Save 58% on the Pyrex 18pc Glass Food Storage with Multi-colored Lids, Free Shipping! The Pyrex 18pc Glass Food Storage with Multi-colored Lids is on sale for $22.99 at Amazon right now. That's 58% off the list price of $54.99! This price is valid today only or while supplies last!